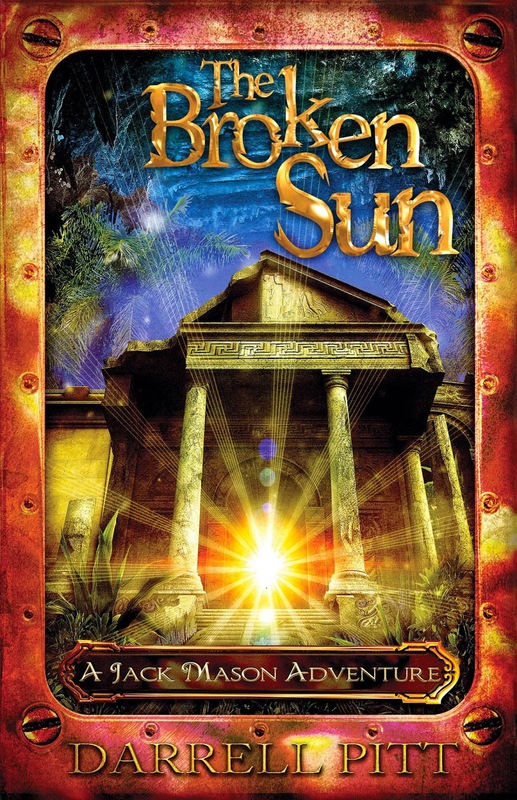 When The Broken Sun, an ancient artefact said to lead to the lost city of Atlantis, is stolen from the British Museum, Jack, Scarlet and Mr Doyle embark on a hunt across Europe to find it. But just as the artefact is within reach, their beloved secretary is mysteriously poisoned. Fourteen year old Jack Mason continues his training, since plucked from an orphanage by the eccentric detective Ignatius Doyle, a man known for his intellect and abundance of pocket cheese. Along with the feisty Scarlet, the trio are now investigating a case that is close to home, the disappearance of Mr Doyle's son on the battlefield. Presumed dead, Phillip's watch has been mailed to his late wife and mother of the detective's only grandchild. But when the British Museum becomes the victim thieves, Jack and Scarlet have now become witness to what will be the first of a series of crimes. A priceless artefact has been stolen, one of three pieces that is said to uncover the lost city of Atlantis. Jack, Scarlet and Mr Doyle are hunting for the remaining pieces, in hope that the lost city is more than another fable. An informant has been poisoned, along with their beloved secretary Gloria and the only remedy is said to derive from Atlantis. But with the Darwinist League now involved, both cases will intercept and the race will be on to find the mythical city, or lose one of their own. 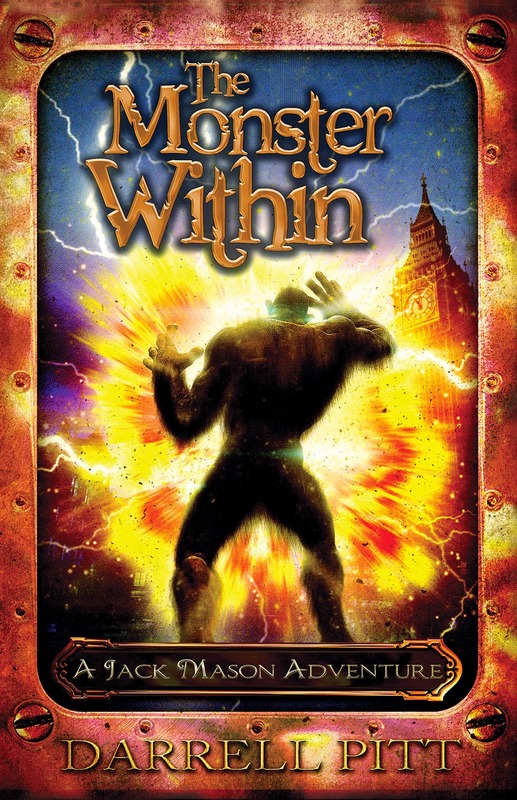 After a series of fatal bombings across London, Jack, Scarlet and Mr Doyle are drawn into another baffling case, the reported sighting of a monster loose in the city’s underground sewers. Before they can investigate, the team must travel to Spain to hunt down a group of terrorists. But just as they close in, Jack and Scarlet are kidnapped. With their lives in perilous danger, will Mr Doyle find his young assistants in time? While back in London, will the monster’s true origins be uncovered before it too wreaks deadly destruction across the city? Jack is back, and a little older and wiser and still working under the careful eye of Mr Doyle. He and Scarlet have their first official case, the mysterious monster that appears at night, scaring the locals and feasting on cats. Mr Doyle has a bigger case to solve, the terrorist attacks suspected of being caused by The Valkyrie Circle, a nationwide suffragette society that supports women's rights and recently taken over by a woman known as Lady Death. A cause close to Scarlet's heart, recent events have lead to authorities ban all women's rights movement, including the protest in favour for their right to vote. The latest bombing brings the total to eight attacks, the injured now numbering in the hundreds and the loss of life cannot be measured. To find out if The Valkyrie Circle is responsible, they must find who created the device. The clues lead them to the Spanish coast... Where not only are Jack and Scarlet kidnapped, but by someone they had least suspected. Mr Doyle has been arrested and back home, the monster still roams the sewers beneath the city. But what do the two cases have in common. With tensions high and Lady Death threatening new attacks, will Jack, Scarlet and Mr Doyle make it through this investigation unscathed? The Jack Mason series has incredibly entertaining, a mixture steampunk, adventure, mystery and a healthy dose of girl power. Vividly described, Mr Doyle along with his two assistants in Jack and Scarlet are a formidable team. The series started as middle grade, but akin to the Percy Jackson series, the characters mature and grow with each new installment. I love the eccentric Mr Doyle. He's a cross between a Johnny Deep character and Maxwell Smart, entertaining, lovable and with a seemingly endless supply of lint covered cheese stored in his pockets. As the series progresses, we find out more about the man behind the detective. A man who rescued an orphan in Jack, took in Scarlet while her father is away on business and spends his life solving mysteries, traveling around the world via his steamship. Told mainly in the narrative, the reader also sees glimpses of Jack's thoughts as he begins to see what a beautiful young woman Scarlet is. She's strong willed and an advocate for women's rights. The banter between the two is adorable, as Jack feel the need to protect her and Scarlet of course will have none of that. The world building is incredible and although based in London, each book ensures the trio need to travel to solve the latest case. With each book, the series matures and I love the inclusion of political references, such as women's rights woven throughout. It look until book three for me to fall in love with this series, now I eagerly await the next installment. The Jack Mason Adventure is an eccentric and wonderfully written series for the young and young at heart. Vivid world building and incredible characters, that leave the reader with a sense of wonderment. It's absolutely lovely and I can't wait to see where Darrell Pitt not only takes this series, but the budding romance that seems to be brewing between our two young trainee detectives. I love that you read a variety of books and genre. This one might sound a bit out of my age, but I'm sure my boy could get into them in a couple of years or so. Fantastic review as always, Kelly! I love reading middle grade, especially adventure type books Joy and this has become one of my favourite series so far. Like Percy Jackson, kids mature along with the characters and it has underlying social messages such as equality woven throughout the storyline as well. It's absolutely lovely. Sounds like a fun series overall. I hadn't heard of them before. It is Lauren. It reminds me so much of a historical steampunk Percy Jackson, but without the magical elements. There's one more book in the series to go, and it may have taken until the third book for me to fall in love with the series, but I'm already dreading it's end. It would make an incredible children's television series as well. Will you hate me Kelly if I tell you I don't read MG books? I just don't know how to review them. I'm so weird I know :P This looks fun though and I'm glad you're enjoying it. :) And I'm loving those covers!!! Of course not poppet, but you're really missing out. There's so many incredible middle grade series around. They tend to be character driven and there's no messy excess drama, no horrid romance or love triangles. It's probably reading in it's purest form. I love this series, absolutely adore it and already eagerly awaiting the finale. It's awesome Jeann. It took me the first two books to really get into the series, but by the end of the third installment, I've fallen in love. It's brilliant and I love seeing not only the underlying message of equality, but seeing both Jack and Scarlet grow. You had me at vivid world-building. If there's one thing I like about books aside from believable character development, it's a solid, consistent, and visually appealing world-building that would effectively immerse me in their world (and consequently, their plight). Amazing review, Kelly! Thanks Faye. This is middle grade world building at it's finest. It's mostly character driven, but being steampunk, I love the addition of transport in steamships of the sky, steam cars, seeing upcoming metropolises and how women are campaigning for the right to equality. It's brilliant Faye. There's just a little hint of budding romance there as well. Thanks Lily. Not sure it's available overseas yet, but it should be available on Amazon. It's such a brilliantly quirky series, I have no doubt that you'll adore it as much as I have so far. Thanks Benish. I like a wide variety of books, it really keeps reading interesting and I find I'm less likely to fall into a reading slump too. How interesting that you found similar parallels to the Percy Jackson series! I have yet to finish the Percy Jackson & the Olympians series, but despite that fact, I've thoroughly enjoyed it, and a character with similar qualities to Johnny Depp!? I'm definitely curious! Would you recommend it to a 12 year old? Is it gory? Are there romantic tropes? It would be absolutely perfect for a 12 year old. There's mystery and intrigue, but it's in no means gory or scary and preteens will love the humour. There's no romance, but Jack is starting to comment how beautiful he finds Scarlet, and most importantly, no adult themes or cursing. It's brilliant. I would love to see it turned into a kids TV series, it's incredibly entertaining and fun. Thanks Zoe. I love Percy as well, and apart from the lack of monsters and tin can eating goats, the characters here have the same type of banter and relationships, and it'll give you that same feeling. It's such an underrated series, and I'd love to see more readers and parents really appreciate how incredible it is. I wish I could get into middle-grade books because these sound so cute and I love a healthy dose of girl power! Alas, I'm stuck in YA and up, but I wish you good luck in reading the rest of the series!